On Saturday I joined parents, children and teachers at North Farnborough Infant School to rejuvenate their tired wildlife garden. The volunteers got stuck into weaving and replanting a willow igloo and creating a tower of pallets for minibeasts. Each class can then adopt a layer of the tower and stuff with leaves, fir cones, twigs to encourage tame invertebrates. The excavated earth from the new pond was stacked on top of the cut branches to create a hibernacula – a perfect home for frogs with lots of nooks and crannies for them to hide in. 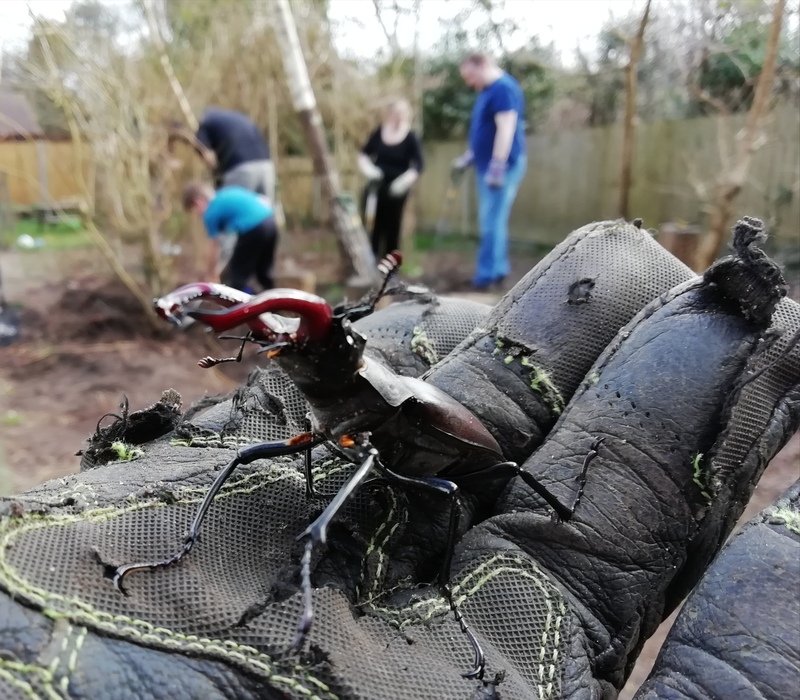 Fuelled by bacon butties we removed rotten logs seats and found a male stag beetle, – a great spot. 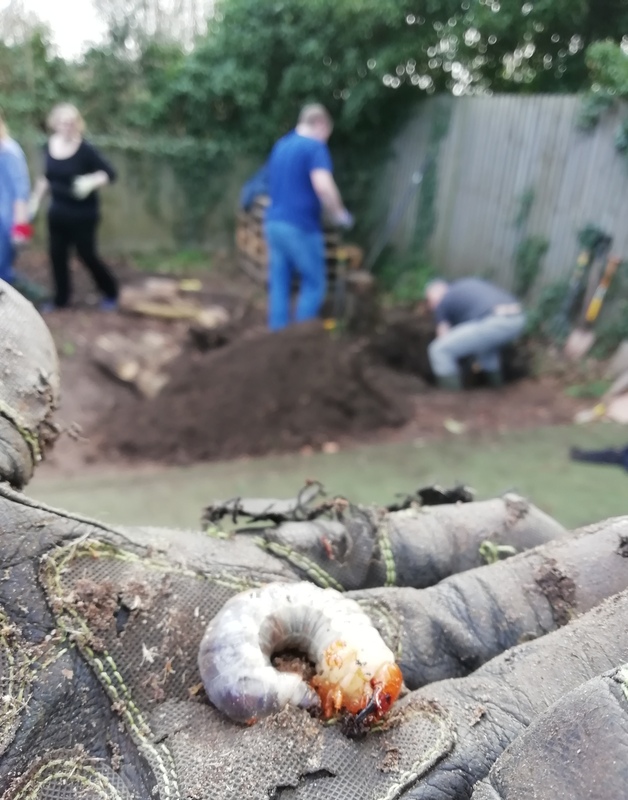 We also unearthed a larvae which spends around 3 years munching on buried logs. It’s important to look after these rare creatures so we kept them safe, then re-homed them on our very own stumpery of half buried vertical logs. It was great to see the amazing transformation in just one day, and I look forward to helping install the new seating and pond. It will be great to finish off the project and create a new outdoor classroom to inspire the children to explore the outdoors. This entry was posted in Conservation, Education, Wildlife and tagged School, Stumpery, Volunteers. Bookmark the permalink.